Indian plantation workers at Malabar around 1910. Home » Indian plantation workers at Malabar around 1910. 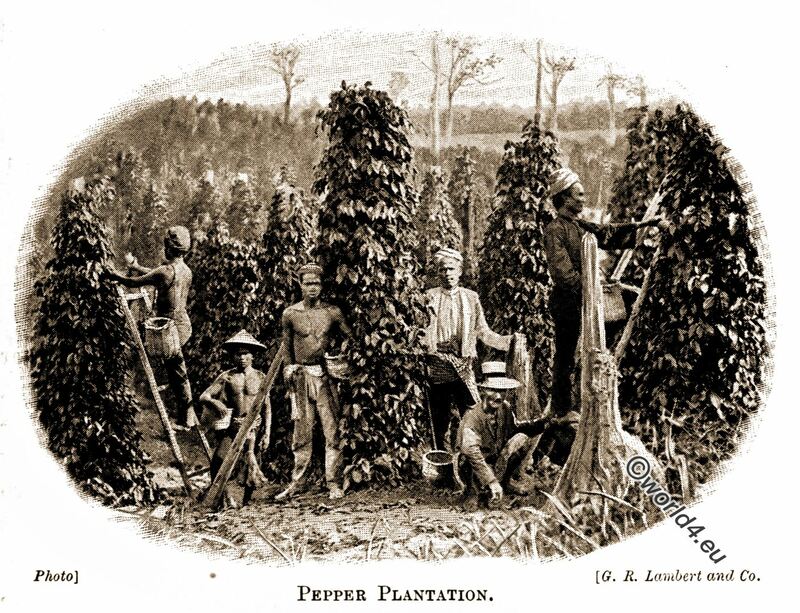 Plantation workers harvest pepper in the historic, fabulous Malabar, today’s Kerala, one of the few remaining matriachates (The caste of Nair) in the world. Malabar originally designated the entire territory of the present-day state of Kerala on the southwest coast of India. Today the Malabar region is generally understood to mean only the northern part of Kerala, while the Malabar coast refers to the entire coastal section between Cape Komorin and Mangalore. Source: Asia by Joan Berenice Reynolds. Publisher London, A. and C. Black, 1910. This entry was posted in 10s, 20th Century, Asia, India and tagged Colonialism, Traditional India costumes on 9/21/18 by world4.